If you are due for a shopping spree here is the list of 15 biggest malls in the world where you can buy anything you need. From Gucci handbags to latest model of Aston Martin, these huge shopping centers have it all. The biggest outlet malls in the USA are just a part of it. Nothing sums up the essence of consumerism in the modern society like a shopping mall does. 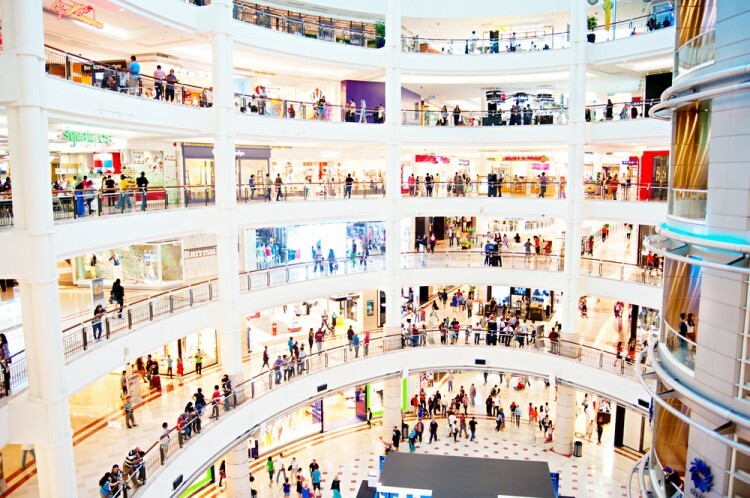 Designed to draw customers into all day shopping, malls are a pinnacle of retail strategy. But shopping mall is an ancient concept. Grouping shops and stores together in order to attract more customer was an idea Romans came up with. Famous Grand Bazaar in Istanbul, opened in the 15th century, still exist today. In 17th and 18th century, first purposely built shopping malls opened up their doors in Europe. Gostiny Dvor in St. Petersburg, Marché des Enfants Rouges in Paris and Oxford Covered Market in Oxford are just some of the examples of shopping centers that continue to operate hundreds of years after they were first opened. The honor of being the first shopping mall in the United States goes to the Arcade in Providence, Rhode Island, opened in 1828. Soon other towns and cities followed suit and by the end of World War 2, shopping malls were everywhere. The concept was reimagined in 1950 to include all the characteristics of a suburban mall we know today. As the time went on, other countries saw the benefits of the shopping mall concept and they began springing all over the world. Soon the United States lost its supremacy. The biggest mall in America, King of Prussia Mall in Pennsylvania is 29th in the world by size, followed by the Mall of America in 30th position. Countries like China, the Philippines, Iran, and Malaysia took over, as the title of the biggest mall in the world changed hands rapidly in the last several decades. Out of 15, 14 malls on our list are located in Asia. The only exception is Albrook Mall in Panama. The Philippines have 3 malls on the list. Thailand, Malaysia, Iran, Bangladesh and China have two each and Turkey has 1. Although the majority of them operates profitable, some seem to be in trouble, like two largest malls in China. They are in danger of becoming what is colloquially known as “dead malls”. This is the term reserved for shopping malls that have failed to attract businesses and shoppers. Sometimes extensive and expensive reconstruction projects may be able to save them. There are several parameters that can be used when determining which the biggest mall in the world is. We decided to rank them by gross leasable area (GLA). This is the essential number for any mall, that represents how much of its area is actually dedicated to shopping. That is why Dubai Mall, the largest mall in the world by total area (1,124,000 square meters or 12.1 million sq ft), isn’t on the list. Dubai Mall GLA is 350,000 square meters (3.77 million sq ft), which makes it 18th on the list.